Hei hei! 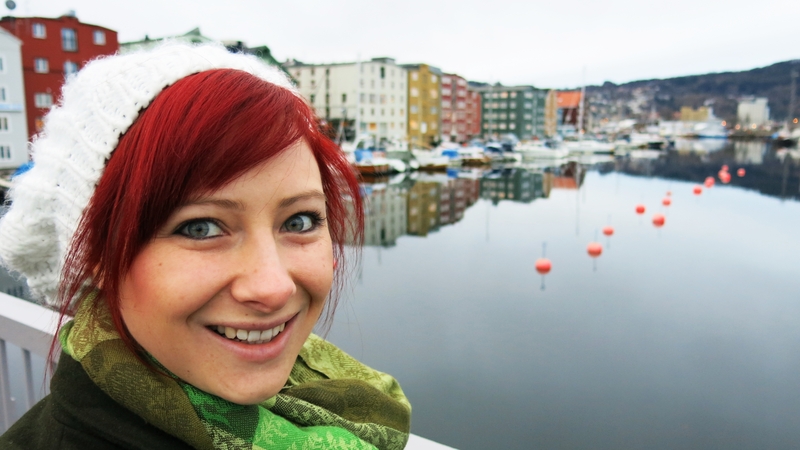 Trondheim is a small city of less than 200,000 inhabitants and situated on the west coast of central Norway. 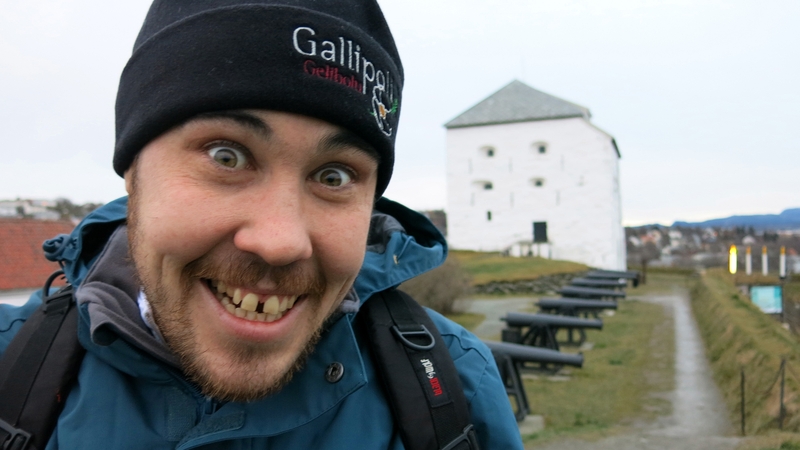 When we visited the city for a weekend we were treated to spectacular scenery and Scandinavian architecture in what is known as the historical capital of Norway. 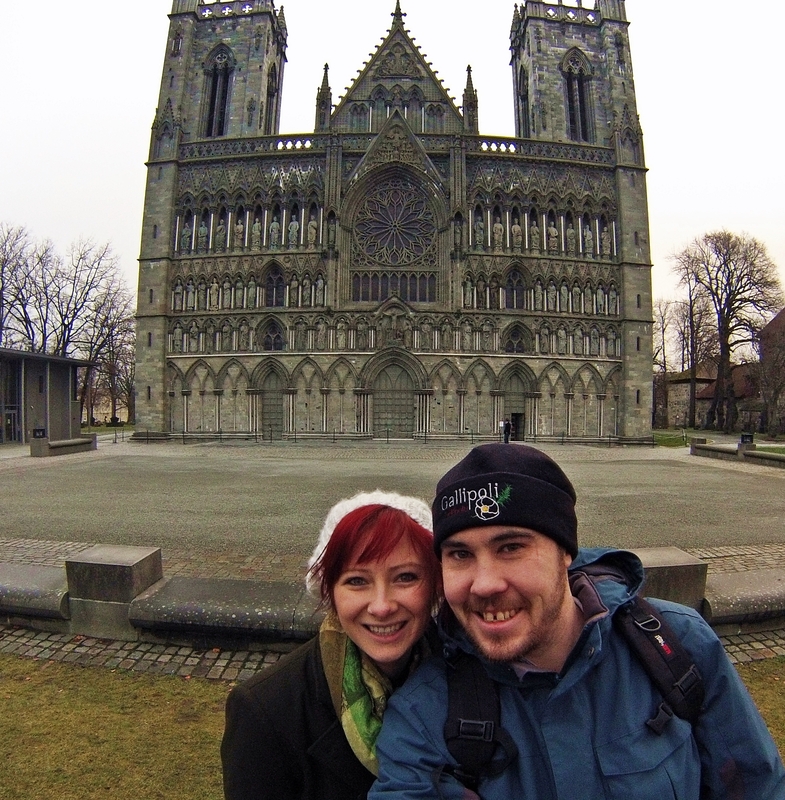 Nidaros Cathedral was built over the burial site of Saint Olaf, the king of Norway in the 11th century, who became the patron saint of the nation. The beautiful clear air was reflected in the amazingly clear water. The oldest of the wharves along the River Nidelva date back to the 18th century. Kristiansten Fortress is located on a hill to the east of the city centre. See below the view over Trondheim from Kristiansten Fortress. The area below this hill is called Bakklandet. 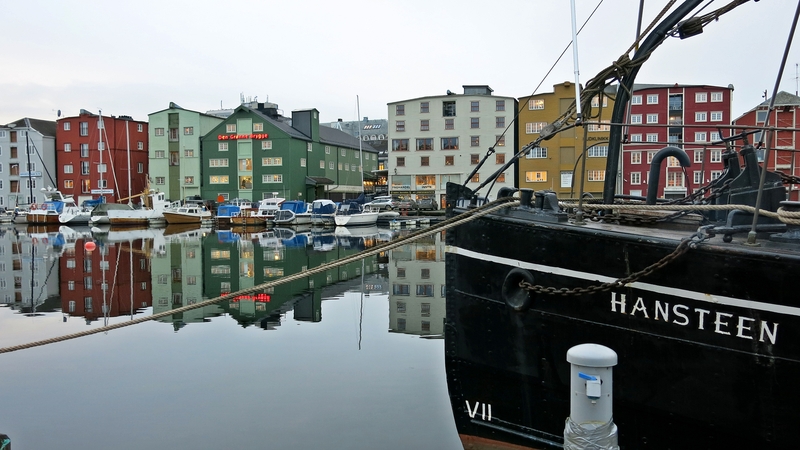 It is an idyllic neighbourhood on the east side of the Nidelva river featuring old timber buildings housing local galleries, warm bars and cosy coffee shops. In the summer a bike lift assists cyclists up the hill with their bikes. In Trondheim there is a chance to see the Northern Lights (Aurora Borealis) during the winter months when the KP index is higher than 3 and the skies are clear. We were lucky enough to catch a glimpse!